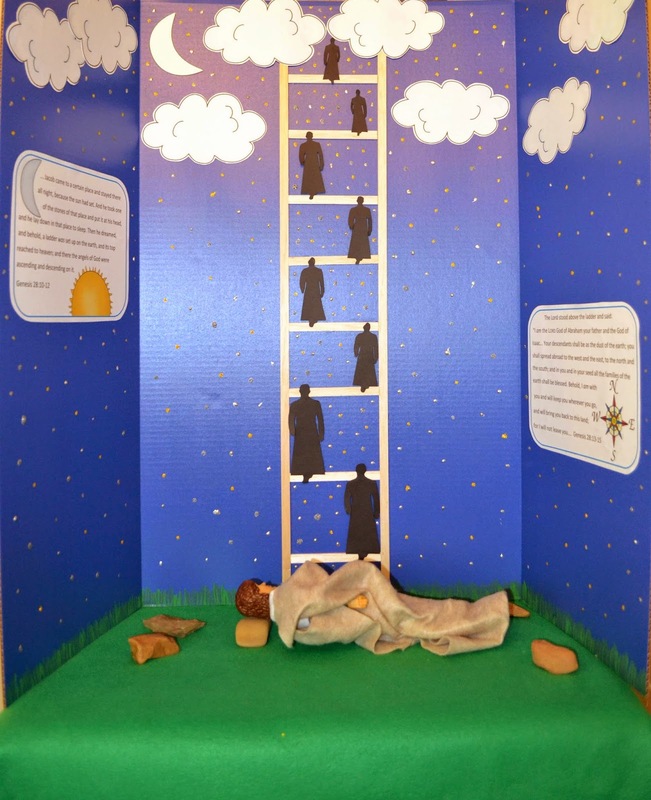 This week's lesson is Jacob's Ladder. 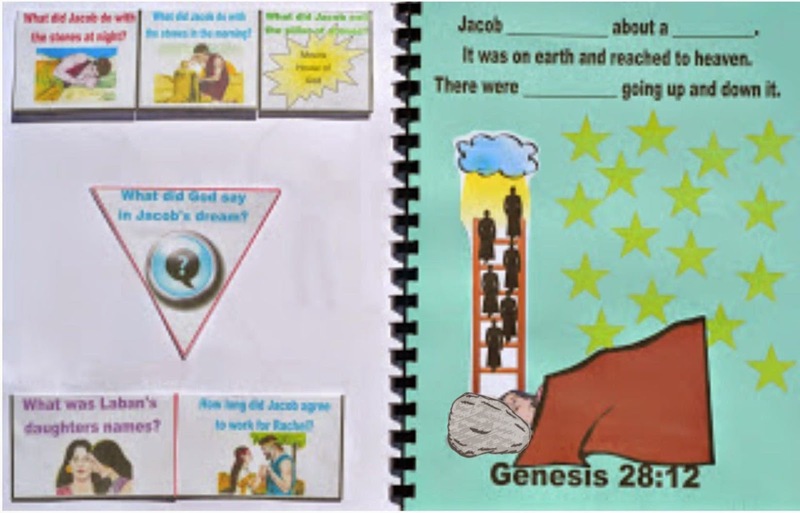 There are printables to make your own tri-fold visual and a mini book for Jacob's dream. We also discussed Jacob working for his Uncle Laban and marrying Leah, then Rachel. 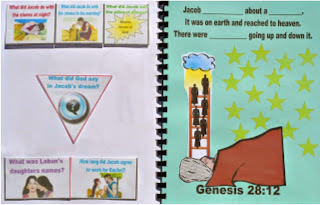 Next week's lesson will have several choices to print Jacob's family and who his children connect to. Review: Last we talked about Isaac and Rebekah. After 20 years of being married, they finally had twins. The oldest was Esau and the youngest was Jacob. Esau was hairy and liked to hunt. Jacob liked to stay in the tent. Rebekah loved him the most, and Isaac loved Esau the best. When Isaac had gotten old, he decided to give the birthright to his oldest son Esau. When Rebekah overheard this, she told Jacob to pretend to be his brother. Rebekah cooked the food, covered Jacob’s hands and neck with goat fur and Jacob went in to see his dad. Well, Isaac gave the blessing to Jacob and when Esau went in to see Isaac and was told that his brother had already gotten the blessing, Esau was so angry, he wanted to kill Jacob! 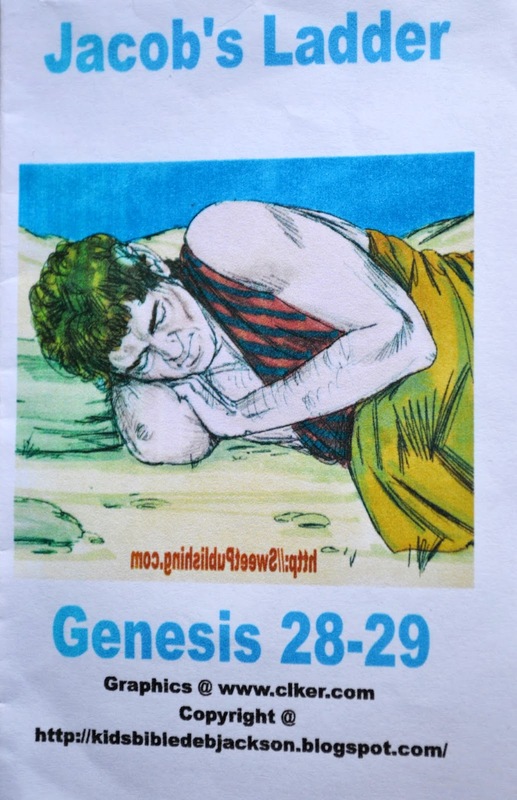 Today's lesson is found in Genesis 28:11-29:27. Isaac and Rebekah decided to send Jacob to her brother’s house to find a wife who believed in God. They didn’t want him to marry someone that worshipped idols. Rebekah also wanted Jacob to get away from his brother. Jacob traveled and when the sun had gone down he stopped for the night. 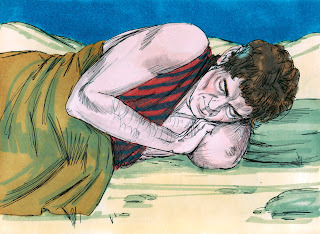 And Jacob took a stone and put it under his head for a pillow. (vs. 11) And, that’s where he laid down to sleep. Jacob began to have a dream. 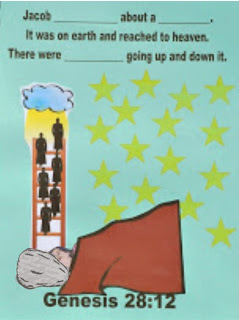 There was a ladder on the earth and it reached up into heaven. 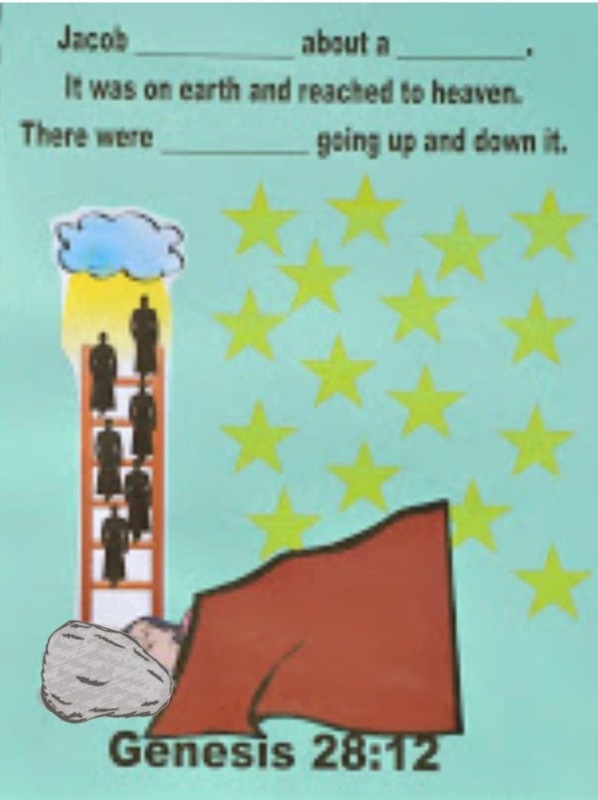 The angels of God were going up and down the ladder. God stood above the ladder and told Jacob that He is the God of Abraham and of Isaac. This place you are sleeping will be given to you and your descendants. You will have descendants spread all around the earth and I will bless your family. God told Jacob He would always be with him and protect him. God told Jacob that his descendants will be like the dust of the earth... that's a lot of descendants! (28:14) Remember, God had told Abraham his descendants will be like the stars in the sky and the sand on the seashore. When Jacob woke up early the next morning, he said surely God is in this place and I didn’t even know it! Jacob took the stone that he had used for a pillow and stood it up like a pillar. (28:18) He poured oil on the top of it. Jacob called the place Bethel which means ‘House of God’. It had been called Luz before. His grandfather Abraham had been in that same place 160 years before. Jacob continued on his journey. He came to Haran where his Uncle Laban lived. Jacob was at a well and asked the other men there if they knew Laban. They said “Yes, we do and there is his daughter Rachel coming with the sheep.” They rolled the stone away from the well so the sheep could drink. Jacob told Rachel who he was and she went to tell her father. Laban came running to meet him. Jacob stayed with them for a month. When Laban asked Jacob what he wanted for working the past month, he said he would stay and work for 7 years if he could marry Rachel. Leah was the older sister, but he fell in love with the beautiful, younger Rachel. (Read Genesis 29:18-20) They agreed to this and Jacob loved her so much, it didn’t seem like 7 years! When the 7 years of working were over, Jacob asked Laban to be allowed to marry Rachel. Laban had a feast for the wedding, but sent Leah in to Jacob instead. Remember, they wore veils and wore a lot of clothes then. 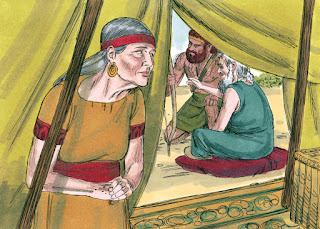 In the morning when Jacob saw that it was not Rachel, he asked Laban: “Why have you done this?” Laban told Jacob that the oldest daughter needed to be married first. That was the custom of the country. Jacob stayed with Leah for a week, and then he had to work another 7 years to marry Rachel! Oh, he was not happy. He was tricked! Almost liked he had tricked his brother Esau! Yes, Jacob had 2 wives, but God allowed that back then so people could populate the earth. God didn’t like it, but He put up with it. The New Testament says to be faithful to one wife. Next week, we will study more about Jacob and his family and his 12 sons! For my visual today, I used a Tri-Fold Science Board for the background. I painted the stars and grass. I used Balsa wood sticks (1/8 x 1/2 36") to make the ladder. Then I used the angel patterns in the download to cut the angels from black cardstock. I used felt for the grass and my David doll. I added stones and 'brown felt blanket'. The stone for Jacob's pillow is a longer one with a flat bottom that I stood up to show Jacob turning it into a pillar and anointing it. Keep in mind, you can use the printables on a bulletin board, or it would look great on a door! You can print most of what you need here. Today's project is a fill in the blank mini book. It is about Jacob leaving home and about his dream. You can print it here. You can print all the Genesis worksheets here. Here is the full page Bible verse to print. Here is the cut & glue worksheet that can be used by itself, or with the lapbook printables. 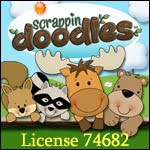 I love all the information that you have here! Oh how I miss the days of little ones. My youngest will be twelve in a few weeks. Yep, it goes fast... mine are in their 20's and I am enjoying grandkids! Thanks for stopping by! Thanks so much! I can't wait to read more! Thanks so much for visiting and leaving the nice comments! I appreciate it! 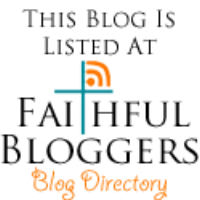 I am your newest follower... thanks for following this blog! Thanks so much for stopping by! I am so happy that you are sharing this post on Facebook! I can't wait to see it and I have liked your Facebook page! Thanks again for sharing it! Pinned and am featuring at Family Fun Friday. I love all the detail and the visuals. Wow what a great way to teach this story! WOW! Thanks so much! Yah! Can't wait to see it! I really appreciate the feature and thanks for stopping by and for hosting the party! This looks really useful for anyone studying the bible. Thanks so much for your blog. Years ago I would write up my own curriculum and activities. My husband was diagnosed with cancer in 2008 and then myself in 2010. We are both in remission and now I feel I can begin teaching again. 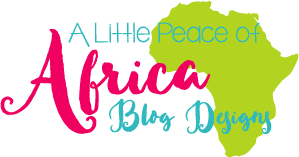 With doctor appts and such I am pressed for time, so this blog is a real blessing in helping me have an informative and interesting class. Your materials are wonderful! Thank you so much for all the work that you put into sharing them with others. What was Laban's daughters names? Correct wording should be: What were Laban's daughters' names? Thank you Patricia for the correction. It has ben updated. Thanks for stopping by.